Earlier this week, fellow Fellow Maggie Thach wrote a piece on one of the Asian American pioneers of the NBA, Raymond Townsend. Today we’ll be looking at another Filipino-American pioneer in sports, Roman Gabriel in the NFL. We caught up with the 74 year old Gabriel to learn more about his career and what it was like to be an Asian in the south. Before Dat Nguyen was crushing unsuspecting running backs, before Hines Ward was reeling in touchdown after touchdown, before Marcus Mariota became the second overall pick in the 2015 draft, there was Roman Gabriel. He became the first Asian quarterback in the NFL when he was drafted No. 2 overall in the 1962 NFL Draft by the Los Angeles Rams. (The Oakland Raiders took Gabriel first overall in the AFL Draft, but he chose to play for the Rams.) He would go on to have a long, decorated career before retiring in 1977. Gabriel was born half Filipino on his father’s side in Wilmington, North Carolina. His dad, an immigrant, canned salmon for a living in Alaska but moved to serve as a cook and waiter for a railroad company in Chicago. That’s where he met his future father-in-law, who also worked for the railroad company. Through that connection, he met Roman’s Irish-American mom, who was from West Virginia. Though Gabriel had a different background than most of his peers growing up (remember, this was North Carolina in the 40s and 50s), he said his childhood was pretty normal. Gabriel’s dad did try teaching him Tagalog, but his dad spent four days a week on the train, so that didn’t work out. Athletics is where Gabriel really fit in. He played football, basketball and baseball at New Hanover High School, making all-State in all three. Gabriel had a chance to turn pro in baseball after college with the New York Yankees but decided to stick with football. Gabriel considered attending Notre Dame, but it was a little too far for him. He stayed local, moving a couple hours west to N.C. State. He already had friends there and could study his preferred major, sports business, plus the Wolfpack offered him the chance to play all three of his sports his freshman year. It’s safe to say Gabriel thrived in Raleigh. He finished his career as a two-time All-American and two-time ACC Player of the Year. After breaking most Wolfpack passing records, N.C. State retired his No. 18 jersey after his senior year. The College Football Hall of Fame inducted Gabriel in 1989, and the ACC also named him as one of the top 50 athletes in the conference’s first 50 years. When Gabriel moved on to the NFL, he entered a league with a short history of Asian American athletes. It’s an issue that still exists today. According to this racial breakdown of NFL rosters in 2014, Asian and Pacific Islanders constituted just 1.59 percent of players. That includes some real impact players like Haloti Ngota or Star Lotulelei, but that’s still a tiny percentage. Not only was it impressive to see Gabriel in the NFL, given the lack of precedent for Asians, but he became one of the best quarterbacks of his time. Over a 16 year career, Gabriel amassed 29,444 passing yards with the Rams and Philadelphia Eagles. That’s good for 43rd all time and ahead of some famous names like Ken Stabler, Joe Namath and Bart Starr. Gabriel tossed 201 touchdowns to his 149 interceptions. He made the Pro Bowl four times and, most impressive of all, was named the 1969 NFL MVP. Gabriel fought through knee and shoulder injuries during his career, but he overcame them for a successful career that he still fondly looks back on. 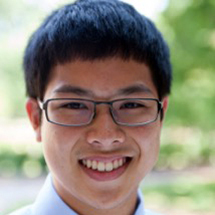 Andrew Tie is a senior journalism major at UNC-Chapel Hill. He is a 2015 Dat Winning fellow. Lincecum, the MLB pitcher who won cy young award 2 or 3 times, also have Filipino heritage of American descent. Former middle weight world boxing champion in very old days even before WW2, was Ceferino Garcia, who has spanish name “Garcia” while he was Chinese-Filipino heritage that migrated to the USA to become a pro-boxer. Like these people, Filipino has several ethnic heritage, so if may, I would like to know that what Fillipino ethnic heritage Roman Gabriel, the best quarter-back from the end of 60s to the beginning of 70s, has at his paternal side. Since Roman Gabriel must be one and only quarterback in NFL who has linkage with Asia, much more quarter-back is just like main actor in Movie, the hightest status position in offence, I would know to ask you my question above. If you don’t know his Filipino ehtnic background in detal, giving me how to contact Mr. Roman Garbiel is also OK. Your prompt reply with advice is very much appreciated. My name is Masaki, Japanese fan of NFL and support many NFL players, even with partial asian heritage.